Its important to choose the correct martingale size for your dog so that its easy to take off, but won't allow the dog to slip out of it. 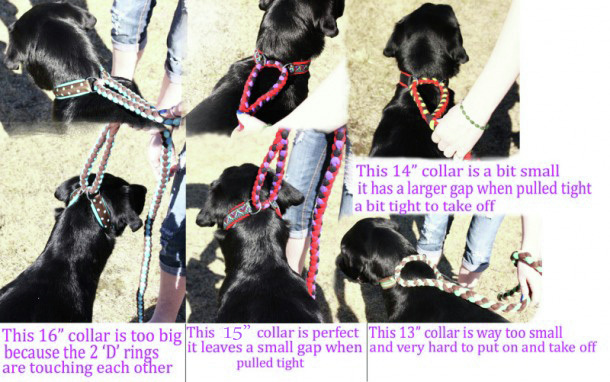 Take a look at the photos below that illustrate proper and improper martingale lead fitting and what size you should choose for your dogs neck size. The dog in the below pictures is Rosco, who is a Labrador Retriever, he has a 17" neck. Now how do you go about figuring out what size to order for your dog? The perfect fitting martingale will have a collar that is 2" smaller then your dogs neck size. This formulation works great if your dog has a 13" neck or larger or you have a breed whos head is smaller then its neck, like a Whippet. 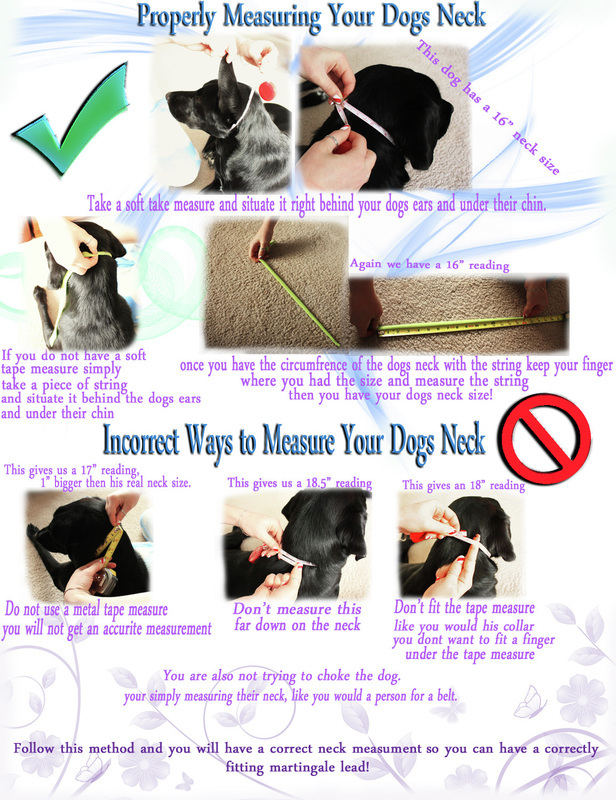 If your dogs neck is between 10" and 12.5" take an inch off. 9.5" and smaller subtract just a half inch. So if your dog has a 14" neck the best collar length would be an 12" collar. 11" neck would need a 10" collar. 8" neck would need a 7.5" collar. Click here to go back to our martingale lead page. Click here to design your Martingale Lead.